Resolving the problem may seem so simple. That is because it presents you a path to follow when you encounter the error. You can try pressing the key combination and see if your computer goes back to normal processing. 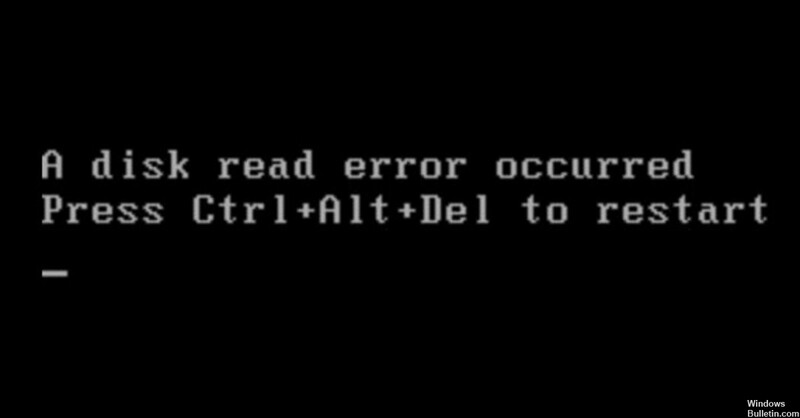 However, when you click Ctrl+Alt+Del, it brings you back to the same error screen, as if it were in a loop. The error occurred at a definite time during boot up. If user can properly take note of that, troubleshooting will be faster. It will be easier to pinpoint whether it is a hardware or software problem. Also, user should take note if there is any noise or change in ambient temperature on the immediate area of the computer. These are signs of an impending hardware failure. There are several things that may cause this error. The fix can either be software solution or hardware replacement. At any rate, it would be good if troubleshooting is done from simpler to more complex issues. When this disk read error comes up your screen, you can do the following steps to quickly fix it. The Master Boot Record or MBR is the part of the computer responsible for augmenting communication between the Operating System and the computer hardware. If this portion gets damaged, the computer will power up and try to boot up but will never be able to load up the Operating System so it will just remain on the “Disk Read error occurred, Press Ctrl+Alt+Del to restart” screen. Do the following steps to resolve this problem. 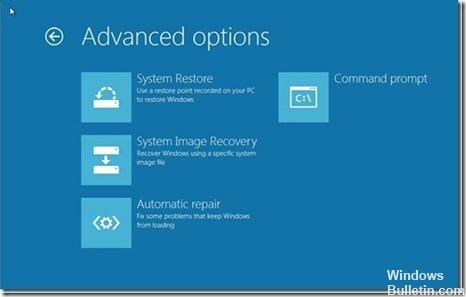 Go to Windows recovery menu. It can differ from one computer system to another, some can be accessed via F8 and others via F12 button. Go to Troubleshoot utility, then choose the Command Prompt. Type the following commands on the prompt, one after another. Checkdisk should be able to mark bad sectors so that only the good ones are accessible to the OS. If after this step, you get a message that there is nothing wrong with your disk, try a different troubleshooting. This step is the last thing that a user should try on his or her system. Flashing the BIOS, when done properly, can fix major issues on a computer system. However, any mistake in running the BIOS update can fry the motherboard and render the whole system unusable until mobo replacement. So, be careful when flashing the BIOS. Get your BIOS update only from your motherboard manufacturer. Call their helpline if not sure so that they send you the media to use and necessary instructions for running this command. If the problem persists after BIOS update, then it is definitely a hardware related failure. This error is related to the storage system so you will have to check if the harddrive or the data cable connecting it to the motherboard or the portion of the motherboard where the harddrive attaches to is bad. In troubleshooting, one has to check cable first by swapping devices that use the same connector. Example is the dvd drive, if it uses the same kind of data connector as the harddrive. You can also swap the harddrive with a working harddrive from a working system to know if the either the cable and motherboard is the cause of failure. You may also want to check and re-seat the memory modules. This way, you will be able to pinpoint which part of the system needs replacement. If you have other quick fix you can add to these, just comment, your ideas are welcome.